you will know that I have an obsession with eyeliner. It's my go to and it always gives me the pop of color I need for my eyes to stand out. For me eyeliner is one of the best makeup product ever! If you want that simple look that makes a big impression, then eyeliner is your friend. 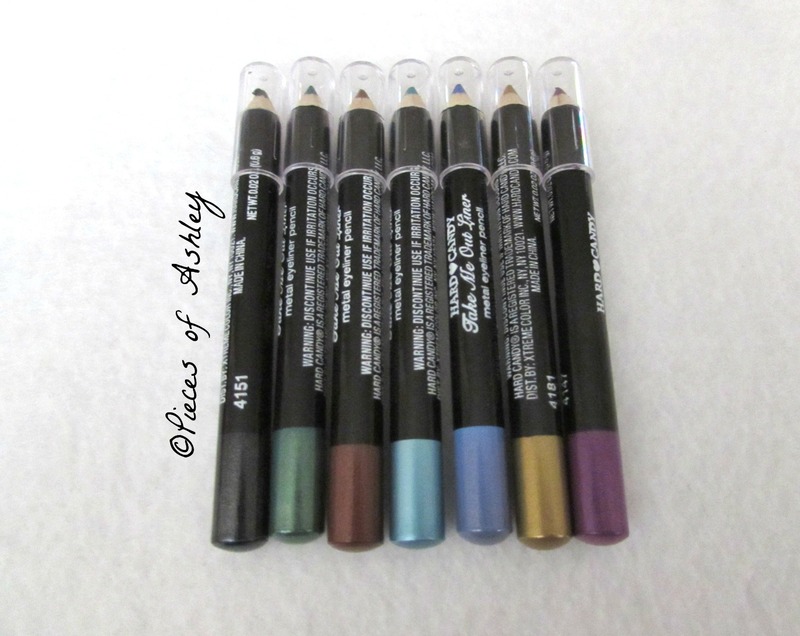 This is my "Hard Candy: Metal Eyes Eyeliner Collection". I got this from Walmart and it was only $4.88, that was a sweet price! For only $4.88, these eyeliners are of great quality. Their creamy and very pigmented, so a little goes a long way. These eyeliners are so gorgeous. The camera doesn't do it any justice. Another great thing/ most important about this collection is that it's not tested on animals. The eyeliner color was not listed on the eyeliner, but it is pretty obvious what the colors are. The only thing, I was a little unsure about was the Turquoise- Green and the Bluish- Purple. I could be wrong, but it looks that way to me. I am really excited about trying out the gold one, it seems very appropriate to wear for the holidays. I know what you're probably thinking, "The holidays aren't even close to being here". You're right, but there is Valentine's Day coming up. So you could match the gold eyeliner with a red or pink shadow. If you want to wear a simple look, try a soft/neutral eye look. Then add a colorful eyeliner for the pop.